Teens are more aware of sexuality and identity than ever, and they're looking for answers and insights, as well as a community of others. In order to help create that community, YA authors David Levithan and Billy Merrell have collected original poems, essays, and stories by young adults in their teens and early 20s. 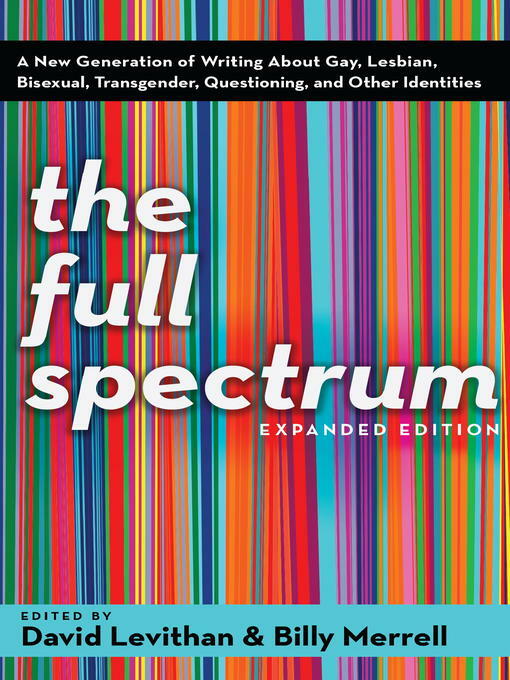 The Full Spectrum includes a variety of writers--gay, lesbian, bisexual, straight, transitioning, and questioning--on a variety of subjects: coming out, family, friendship, religion/faith, first kisses, break-ups, and many others.